The KNIGHT of Hubballi (UBL) leads the Celestial Bull !! WDP 4 / 20065 from Diesel Loco Shed, Hubballi (UBL) powers 17307 / Mysuru Bagalkot BASAVA Express bound to Bagalkot !! 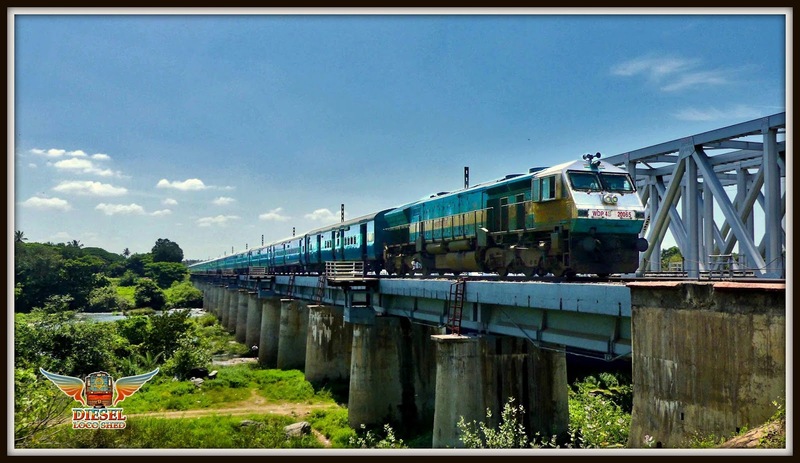 The Loco leads the Train on the Old Kaveri South Bridge at Srirangapattanna which has now been abandoned after Commissioning the Girder Bridges which can be seen beside.